By Maria Elena Manzor D.D.S., P.C. People who’ve lost all their teeth (a condition known as edentulism) face a decision on how to restore their lost function and appearance. And there are a number of options to consider. A fixed bridge supported by dental implants, for example, is a good choice for patients who still have sufficient bone structure in their jaw. It’s not a good choice, however, for those with the opposite situation — who’ve experienced significant bone loss which has also affected their facial structure. For them, there’s a better alternative that also uses implants for support — the overdenture. There are a number of advantages for an overdenture, especially for patients with bone loss. A removable, implant-supported denture can be designed to replace lost tissues that have altered facial appearance — to “fill in” the face and restore aesthetic harmony. Patients who’ve previously worn dentures will also often find their speech better improved than with fixed bridgework. Because it’s removable, an overdenture and the underlying gums are easier to clean, which helps inhibit disease and lessen further bone loss. It also allows you to properly care for the denture, which can extend its longevity and reduce future potential maintenance and replacement costs. If you would like to consider removable overdentures as an option, you should begin first with a thorough oral exam that includes evaluating the status of your bone, jaw and facial structure. From there we can advise you if overdentures are the best choice for you. If you’re thinking about getting dental implants, you’re in good company. Dentists have placed more than 3 million of these popular devices since their introduction in the early 1980s. But if you have multiple missing teeth, you might think the cost of all those individual implants could put them out of your league. Yes, replacing multiple teeth with individual implants can be quite expensive—but implant technology isn’t limited to one tooth at a time. A few well-placed implants can impart their proven durability and stability to other types of restorations. For example, we can incorporate implants into a bridge for a series of missing teeth. Conventional bridges are normally fixed in place by altering and then crowning natural teeth on each side of the missing teeth gap with a fixed row of prosthetic (false) teeth in the middle to fill it. Instead, two implants placed at the ends of the gap can support the bridge rather than natural teeth. This not only provides greater stability for the bridge, it also avoids permanent altering the natural teeth that would have been used. 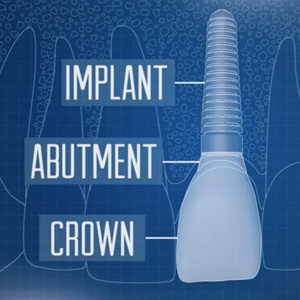 Implants can also support a fixed bridge to restore complete tooth loss on a jaw. The new bridge is attached to a few strategically placed implants along the jaw line to equally distribute biting forces. This can result in a strong hold with excellent durability. 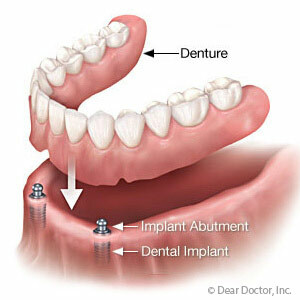 We can also use implants to improve traditional dentures. Dentures normally rest directly on the gums’ bony ridges, depending on a snug fit for stability. But bone loss, a natural consequence of missing teeth, can still occur while wearing dentures, which may in fact accelerate the rate of loss due to the appliance’s constant pressure and friction against the gums. Instead, just a few implants placed along the jaw can, with attachments built into the denture, hold it securely in place. This not only decreases the pressure on the gums, but the natural bone growth that occurs around the implant may even deter bone loss. Depending on your situation, there could be a viable restoration solution involving implants. Visit our office for a complete examination and evaluation to see if implants could help change your smile forever. With their durability, versatility and life-likeness, there’s no doubt dental implants have revolutionized teeth replacement. If you’re considering dental implants, however, there are some issues that could impact how and when you receive implants, or if you should consider another type of restoration. Cost. 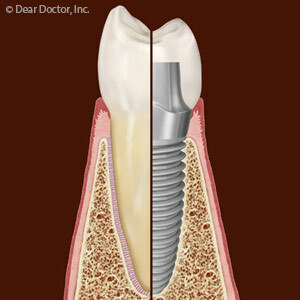 Dental implants are initially more expensive than other tooth restorations, especially for multiple tooth replacement. However, be sure you consider the projected cost over the long-term, not just installation costs. Because of their durability, implants can last decades with little maintenance cost. In the long run, you may actually pay more for dental care with other types of restorations. Bone health. 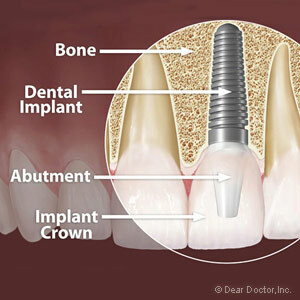 Dental implants depend on a certain amount of bone to properly situate them for the best crown placement. If you’ve experienced extensive bone loss, however, there may not be enough to support the implant. This can often be overcome with grafting — immediately after extraction, at the time of implantation or a few months before implantation — to encourage bone growth. In some cases, though, bone loss may be so extensive you may need to consider an alternative restoration. Gum Health. While implants themselves are impervious to infection, they’re supported by gum and bone tissues that can be affected. Infected tissues around an implant could eventually detach and lead to implant failure. If you have periodontal (gum) disease, we must first bring it under control and render your gums infection-free before installing implants. It’s also important to maintain effective oral hygiene and regular dental cleanings and checkups for optimum implant health. Complications from osteoporosis. People with osteoporosis — in which the bones lose bone density and are more prone to fracture — are often treated with drugs known as bisphosphonates. In less than 1% of cases of long-term use, a patient may develop osteonecrosis in which the bone in the jaw may lose its vitality and die. As with bone loss, this condition could make implant placement difficult or impractical. Most dentists recommend stopping treatment of bisphosphonates for about three months before implant surgery. If you have any of these issues or other complications with your oral health, be sure to discuss those with us before considering dental implants. With proper planning and care, most of these difficulties can be overcome for a successful outcome. Dental implants are considered today’s premier method for restoring missing teeth. Obtaining an implant, though, is often a long process and the implants themselves must be surgically placed within the jaw bone. Nothing to worry about, though: implant surgery is a minor to moderate procedure akin to a surgical tooth extraction. Still like any surgery, this procedure does involve cutting into the soft tissues of the gums and could allow oral bacteria to enter the bloodstream. While most bacteria in the mouth are harmless (and even beneficial) a few strains can cause disease. For some people, especially those with certain heart conditions or joint replacements, this could potentially cause serious issues in other parts of their body that might be highly susceptible to infection. To guard against this, it’s been a long-standing practice in dentistry to prescribe antibiotics to certain high risk patients before a procedure. Although this departs from the normal use of antibiotics for already occurring infections, due to the circumstances this has been deemed an acceptable measure to prevent disease. In the past, the categories of patients for which preventive antibiotics were appropriate had been more extensive. In recent years, though, both the American Dental Association and the American Heart Association have adjusted their recommendations. Today, your dental provider may recommend antibiotic pre-treatment if you have a prosthetic (artificial) heart valve, a history of infective endocarditis (inflammation of the inner linings of the heart), a heart transplant or certain congenital heart conditions. 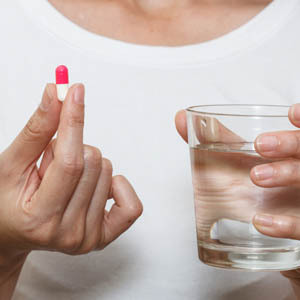 While physicians may still recommend premedication with antibiotics for patients with joint replacements, it’s not as blanket a standard as it might once have been. It’s now only recommended for certain cases, such as patients who’ve received a prosthetic joint within the last two years. There’s still an ongoing debate about the effectiveness of antibiotic pre-medication. However, there’s evidence medicating before procedures with antibiotics can be beneficial in avoiding infection. If you fall into one of the categories just mentioned or are concerned about infection, feel free to discuss with your dentist if using antibiotics before your implant surgery is wise move for you.